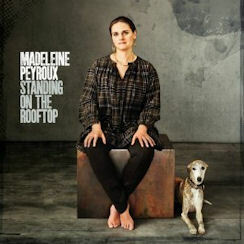 Peyroux took a turn into uncharted territory with her last album, Bare Bones. She is now keeping behind the scenes in preparation for a return to the studio. Producer Craig Street (Cassandra Wilson, Joe Henry, Chocolate Genius, Norah Jones) is set to hold the reigns this time, and the album will be all new compositions. "I have been building on the relationships I developed in co-writing, and something new has taken hold of me," Peyroux says. "This project is meant to be a wider dreamscape than previous recordings. I'm interested in exploring tougher sounds, even ugly sounds... trying to find something more raw than the voice that I have now, and in the accompaniment that I have become used to." This site is no longer actively being updated.